Dragon’s Blood, a name which by itself conjures up vivid and possibly frightening imagery. Thoughts of torrents of dark steaming liquid flowing unchecked across a foreboding and desolate land where nothing has escaped the flaming destruction of the dragon’s fire, are easily imagined. A bold and honorable knight, one who has made a long and difficult trek over inhospitable terrain arrives to vanquish the dragon, but only after an epic battle that taxes the knight’s every sinew. When he finally plunges his sword into the single spot of vulnerability on the huge dragon’s body, the spot where but a single scale has been displaced, and the steaming acidic blood starts to flow to the earth below. The dragon heaves and cries out with it’s dying breath before collapsing on the rocky ground, where it’s flesh will harden into rock once the final drops of blood are spilt. Unfortunately for those who find themselves immersed in wondrous tales of mythical intrigue, I apologize because this piece is about something altogether different. The Dragon’s Blood I’m speaking about is a bright red resin that comes from many different plants and trees from around the globe. 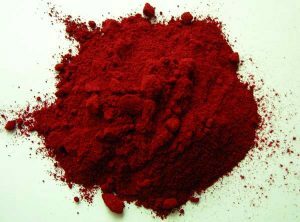 It’s the Dragon’s Blood which has been used since ancient times for medicinal uses, as a dye, a varnish, a painting pigment, or as incense. 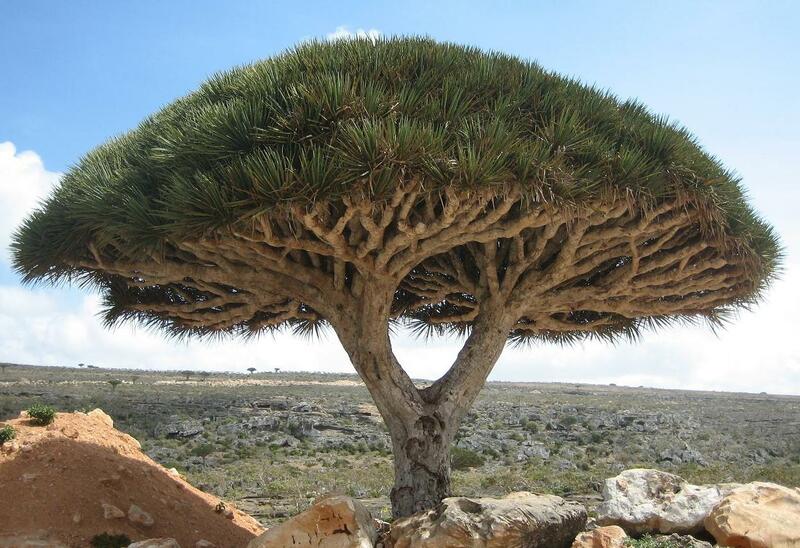 The Dracaena cinnabari, also known as the Socotra dragon tree or dragon blood tree or “true” dragon’s blood tree is where the name originates from. 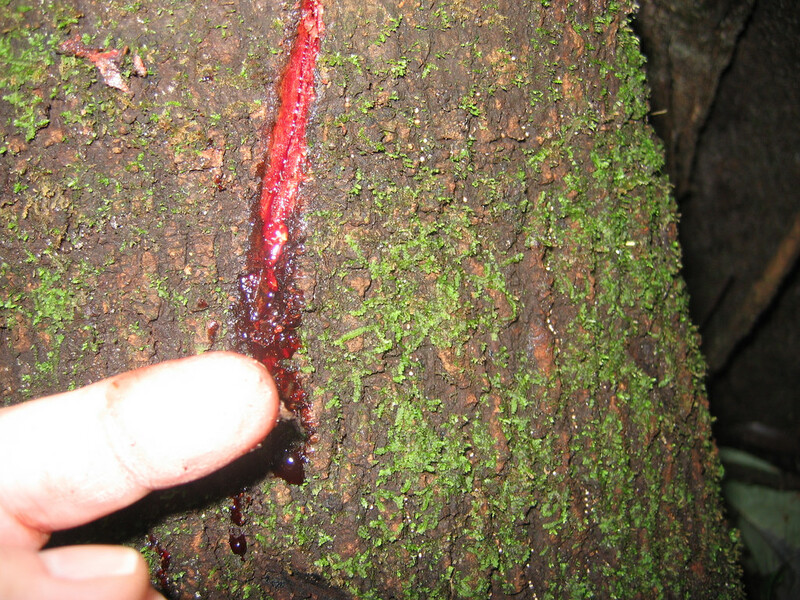 The sap from these trees is a rich red and flows like blood from a wound when the bark of the tree is cut (see picture below.) Other trees and plants are found in the Amazon rainforest, in Somalia, the Canary Islands and Mexico. Dragon’s blood is actually a bright red colored resin when it comes down to a simple definition. 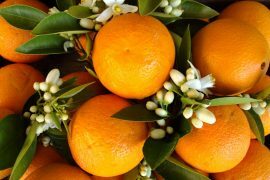 As earlier mentioned, it is harvested from a variety of different plant species, with a similar end result. The product from trees is more sap-like while the product from some of the plants is more like liquid latex. As these resins harden, the natural aroma of nature is trapped within. What’s ironic is that the liquid itself does not have this aroma in it’s liquid state and it can only be realized when its later heated. If the chunks of resin are heated or used as incense, it bubbles and boils in a rich red pool, again solidifying the fact that it looks like blood. Dragon’s Blood is prized for it’s unique and amazing scent. It smells both sweet and soft, slightly amber-like or woodsy but more natural and less sticky/sweet smelling than common amber. 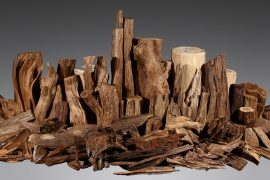 Overall the scent is considered extremely complex, uniquely rich, and is used by many to create a calming space. Dragon’s blood can be used in it’s natural liquid state either straight from the tree or mixed in a tincture. After it’s been dried, it can be powdered or left in larger chunks which are used as incense or added to other herbal mixtures. The powdered forms are very difficult to mix. There are some commercial Dragon’s blood products sold as essential oil products – these are most likely synthesized since Dragon’s blood does not naturally exist. One way Dragon’s blood “oil” is made is by steeping ground resin in a blending oil until it turns red. This “oil” blend will not have the scent which heating the resin will produce. Throughout much of the Amazon rainforest, Dragon’s blood is the primary topical aid for just about anything bad that can happen to the skin. Cuts, bites, burns, stings, rashes, abrasions, sores, and wounds benefit from an application of the healing red liquid. In the markets of the Amazon, you can find bottles of Dragon’s blood selling at various medicinal stands, and at many other types of shops. When the red sap is rubbed onto skin, it starts to dry, forming a thin cream-colored layer, much like a protective second skin. Chemical analysis of Dragon’s blood shows it to contain a broad range of naturally-occurring compounds, many of which have been well studied, including protective antioxidant phenols, and anti-inflammatory compounds of various kinds. It’s due to these compounds that Dragon’s blood is used externally. Dragon’s blood also contains a group of compounds called proanthocyanidins, which have been proven to repair collagen, the lattice-like main protein that makes up much of our tissues. Additionally, Dragon’s blood contains taspine, a known tissue-healing agent. The red sap also demonstrates antibacterial, antiviral and antifungal activity. The key in obtaining Dragon’s blood, is to cut into the bark of the tree diagonally. The cut must be deep enough so that the sap will flow freely. Much like maple sap is collected for syrup-making, Dragon’s blood is captured with a cup that is affixed to the tree at the bottom of the cut. In almost all cases, Dragon’s blood is collected in small quantities, one or two quarts at a time. The scale and collection methods of Dragon’s blood sap might change as the sap is now being used in some cosmetics. the secret of this remarkable skin-enhancing agent is finally out and cosmetic companies are including it in skin elixirs, creams, and other high-end special preparations. Even though cosmetic companies usually use ingredients that are pure white, simply to maintain whiteness of creams and lotions, they are making an exception. Dragon’s blood turns things a nice shade of pink but results take precedent over color. This is just one more example of how rainforest products can produce amazing results when used responsibly; in this case that result is enhanced beauty. 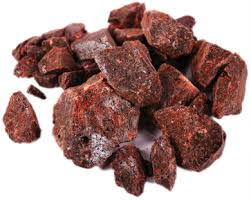 Dragon’s blood is used in Wiccan and witchcraft traditions, mainly as a love potion base. Other pagan practitioners use Dragon’s blood to enhance intensions for protection, love, banishing, and sexuality. Some traditional women burn the resin in their window at night to invite love or by the bedside to address impotency concerns of their male partners. In Hoodoo and Southern Conjure, Dragon’s blood serves two main purposes, to bring luck in both money and love plus to ward off evil. Mixing powdered Dragon’s blood Resin with Camphor is used to cleanse a living space similar to how white cedar and sage are used in native cultures. 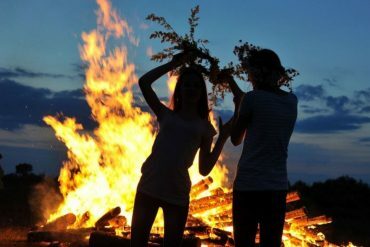 There are many other uses for Dragon’s blood which are lesser-known and these span across many religions and cultures. 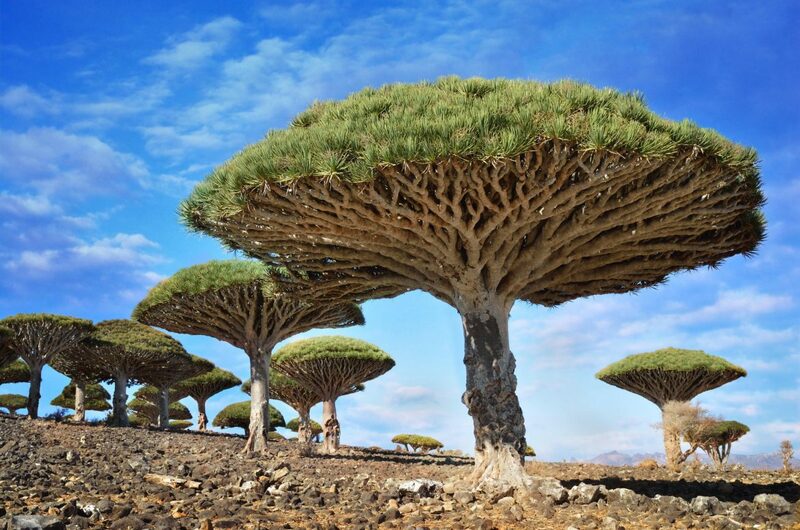 Plants or trees which exhibit unique qualities were almost always incorporated into ancient societies for their mystical effects, but we’ve seen that Dragon’s blood is the real deal when it comes to skin care. There are other similar plants that have red fluids either in their fruit or bark which have been given an elevated status in tribal medicine across the country. The wild teak tree also know as the Bloodwood tree is native to the African nations of Angola, Mozambique, Namibia, South Africa, Swaziland, Tanzania, Zaire, Zimbabwe, and Zambia. The blood-red red sap is also used traditionally as a dye and in some areas, mixed with animal fat to make a cosmetic for faces and bodies. 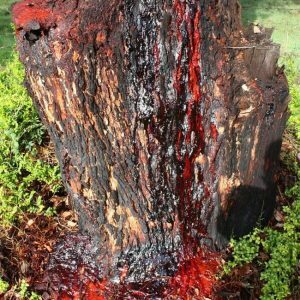 Bloodwood sap is believed to have magickal properties related to healing blood-borne illnesses; most likely because of its close resemblance to blood. The tree sap is also used for the treatment of ringworm, sharp or stabbing pains, certain eye problems, malaria, black water fever, stomach problems and is believed to increase the supply of breast milk in lactating females. The tree itself is a great source of high quality wood, which is a main reason why it’s being harvested at dangerous levels. 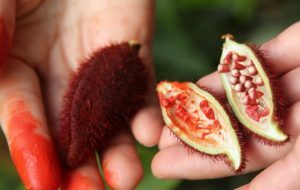 The Achiote tree, originally from South America grows to about twenty feet tall and produces furry red fruits that when ripe and broken open, bleed a ruddy sienna dye known as annatto. This liquid was originally used to make lipstick and body paint, thus the nickname lipstick tree. The trees are grown commercially in modern times for multiple uses. Processed foods such as cheese, butter, and cured meats all have annatto added for flavor and coloring. The seeds are ground and used as a substitute for paprika or added to other spices to create a flavoring paste used in many traditional recipes. 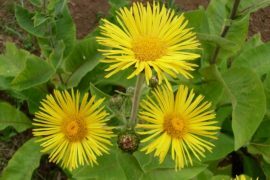 It’s also used in native traditional medicine but no use has been validated by outside clinical studies. Even though the stories fail to meet up to actual expectations, Dragon’s blood is worth taking a look at. There are many studies available to read on test results which can be found with a quick internet search. One study shows Sangre de drago to be one of the most powerful sources of antioxidants known, with 90% proanthocyanidin, the most powerful antioxidant found in nature. Do your research before making any purchase to determine if you are getting pure product and to make sure its being harvested responsibly.